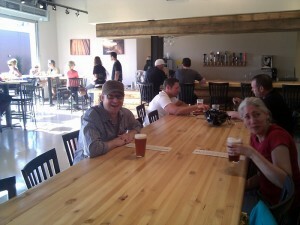 I had a chance to try out some of the beer a few days after the Bier Hall opened and was very impressed with the Mt. Rescue Pale Ale. 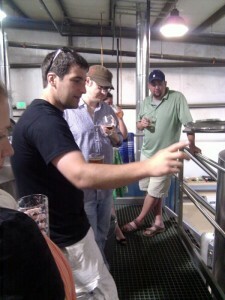 Some friends and I had a chance to take a tour with their head brewer and sampled a bit of the Sweet As straight from the tank. Yum. With an impressively large space and great beer, I look forward to seeing what GoodLife can do. The Beer Hall is a not so small corner of their facility, with family style seating and open garage style doors all around. I was also shown an area out back that will eventually become a beer garden – looking forward to that. The Bier Hall is open Wednesday – Saturday from 11am to 10pm and serves variety of beer (including 2 of their own) and a small selection of food items (menu) including classic style Pasties and a selection of appetizers, salads and desserts. 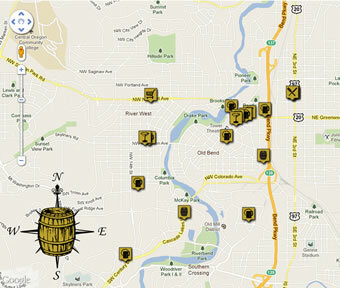 GoodLife also recently announced that Everclear (the band) will be playing at the brewery on July 22nd from 4pm – 7pm.